Strolling the tourist area alleyways of Bulgaria’s Black Sea coastal resort of Golden Sands in August 2012, any passerby with an attuned ear would hear holidaymakers speaking Russian, German, Romanian and Polish – more or less in that order. English was hardly heard. Elsewhere on the coast, around the Sunny Beach area, it would be quite probable to hear Hebrew, notwithstanding the tragedy that put Bulgaria into international headlines this summer, the July suicide bombing terrorist attack on Israeli tourists at Bourgas Airport. That terrorist attack meant, among other things, additional security for visitors to Bulgaria from one of this country’s most important and growing markets. It also meant, however awkward the use of this term in such a context, damage control as Sofia and Jerusalem worked together to maintain confidence in Bulgaria’s market for Israeli tourists. The terrorist attack also made analysis of this summer’s market different from the usual claims from official circles and Bulgarian tourism industry “experts” on the performance of the market. Soon after the terrorist attack, Bulgarian authorities rushed to issue assurances that there had been no significant negative effect on the number of Israeli tourists coming to Bulgaria for the 2012 summer season. It was illuminating, however, when on August 25, Bulgaria’s Economy, Energy and Tourism Minister Delyan Dobrev was reported by Bulgarian news agency BTA as having said that the numbers of Israeli tourists had “returned to normal” after numbers had dropped in the wake of the July 18 terrorist bombing. Figures were now “back to projections made at the start of the season,” Dobrev was quoted as saying. He attributed this to the visits he had exchanged with his Israeli counterpart and to Bulgaria’s positive campaign in the Israeli media. 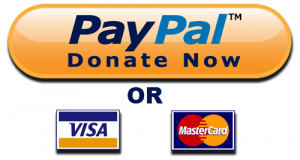 Earlier, on August 10, Dobrev said that a large number of Israeli tourists already had made bookings for the upcoming winter season. For Bulgaria, foreign tourists are an important part of the market, to say the least. For Bulgarians themselves, there were a number of negative factors that may have influenced their choices about holidays this summer 2012, although objective confirmation of the effect or otherwise of these factors may be awaited for some time if not forever. In a country by far not the European Union’s wealthiest, unemployment has grown, cutting spending power. On top of that, cost of living has risen, not least because of soaring fuel prices, which increased on several occasions in the course of the peak August month. Already, increased fuel prices also had an effect on bus tickets. State railways BDZ had its own problems. Yordan Nedev, whose frustration at the railways’ financial position led him to resign on August 24 after only about a year in the post of chief executive, already had said some weeks before that unless the state paid out, trains might stop running altogether. Not a message likely to encourage Bulgarian travellers to rush to the nearest railway station ticket office, and it was a message that came on top of the effective unavailability of sleeping cars on long-distance trains. 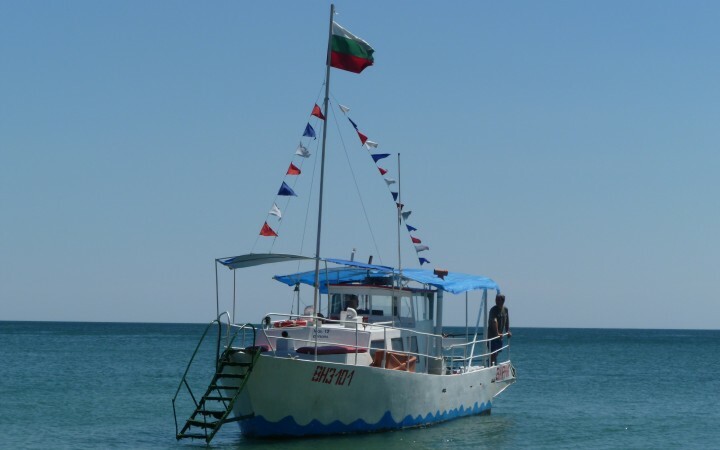 For those Bulgarians who could afford it, car travel to the seaside had by August 2012 become the best and fastest option to reach the seashore. Thanks to the current Government’s obsession with highways, motorists could get there so much faster – not only because of the extra kilometres added to the Trakiya Motorway to Bourgas, but also because of the newly-legislated higher 140km/h speed limit on highways. It may, of course, fairly be wondered what the impact on fuel consumption is from travelling at this higher speed, to say nothing of the impact on people who lose control of their vehicles at such speeds. But then again, anecdotally, the current writer – in his capacity as a motorist at the wheel to and from the Black Sea– noted quite how many cars were easily overtaking even when his own speedometer was set firmly at 140km/h. But as to those figures so smoothly trotted out by the authorities annually, this year in late August Dobrev said that there had been a seven per cent year-on-year increase in tourists in June, leading him to conclude that there would be growth overall this summer. Dobrev added, however, that some resorts were reporting two-digit growth, both in the number of tourists and in revenue, while others were reporting a downturn. “This shows that some resorts have better policies and development than others,” Dobrev said. 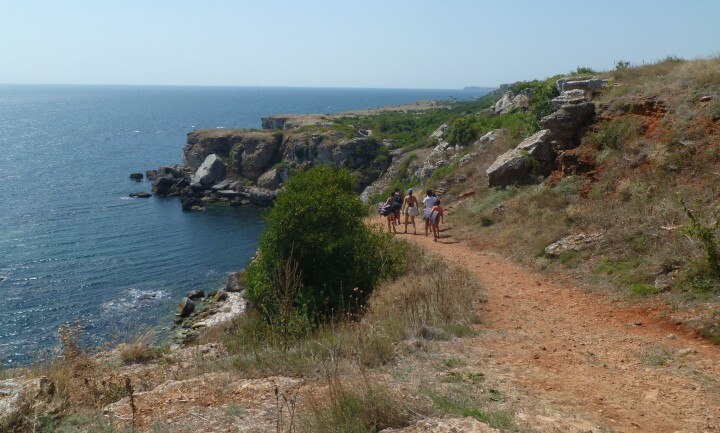 Still on the numbers game, Evelin Videnov, deputy head of the Bulgarian Tourist Chamber, was quoted in an August 14 interview with local news agency Focus as saying that the summer tourist season in Bulgaria was “going really well”. 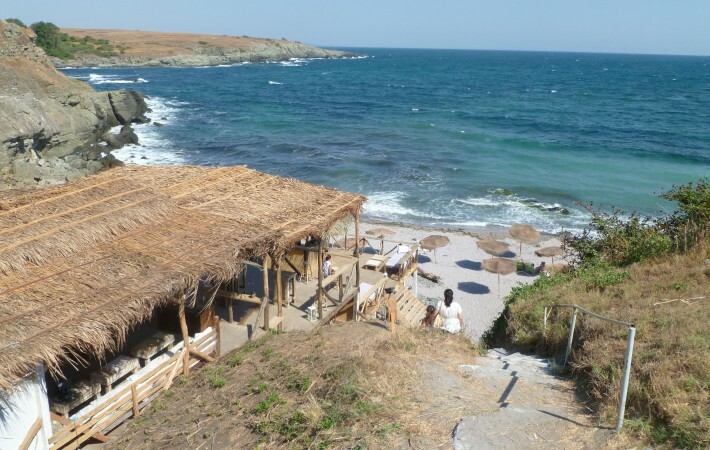 “At the moment there are about seven per cent more tourists at Bulgarian Black Sea resorts. The number of British and Irish tourists has dropped by about 10 per cent, but the number of Romanian and Russian tourists has surged by about 10 per cent, so things are going well,” Videnov was quoted as saying. He attributed the reduction in British and Irish tourists to them being lured away by better marketing by rival markets. 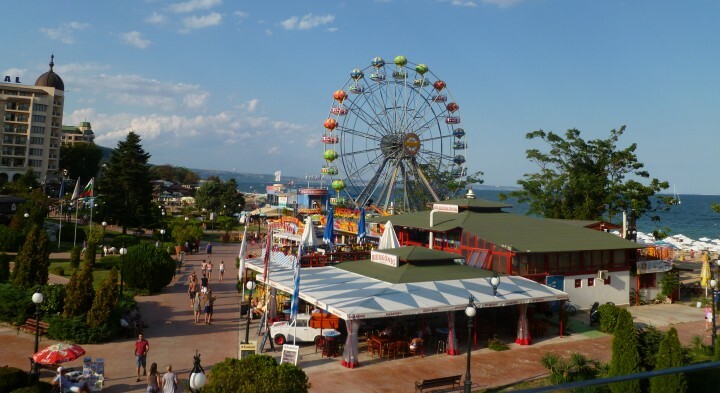 Videnov had no statistics available for hotel occupancy at Bulgaria’s Black Sea resorts in August 2012 but said that 85 per cent occupancy was usual for the month. Tourist stays were consistent with previous years, he said, averaging six to seven days. Bulgarian tourists took shorter holidays, but more than once during the summer season. Foreign tourists’ stays, according to Videnov, were about 10 to 12 days. Earlier, at the end of July, Focus interviewed tourism industry analyst Roumen Draganov, who said that at the time that bed occupancy rate at Bulgaria’s Black Sea tourist resorts to early August was expected to be 98 per cent to 106 per cent (it is not clear what 106 per cent bed occupancy rate is meant to mean, but in a way it could be fun, one supposes, depending what kind of tourist you are). The influx of Russians to the Bulgarian tourist market is a trend established for some years. Ahead of the late-July/August peak, there already was an indication of just how many Russians would be coming, going by the media statements issued by Bulgaria’s Foreign Ministry about the numbers of visas issued, running into the hundreds of thousands and breaking previous records. Russian tourists fit various profiles – charter groups, individual tourists (no shortage of Russian-registered cars could be seen at various resorts visited by this journalist in the past three or so weeks, from Varvara in the south to Shabla in the north and all major points in between) and the youth market that occupies territory at the huge and ever-growing complex at the Kamchiya river mouth about 20km south of Varna (the latter a source of complaint by residents of nearby Bulgarian villages who are enduring water shortages for several hours every day as the sprawling Russian complex guzzles available supplies). For the Russian tourist market, the big story of summer 2012 was the collapse of the VIP Tours company. However, unlike the Alma Tours debacle of 2011, which left large numbers of Russian and other foreign tourists stranded, reaction by authorities this time around appeared to have been swifter and more efficient. As a rider, it may well be added that the Alma Tours affair obviously had no lasting negative impact on the number of Russians visiting Bulgaria– in spite of last year’s fears to the contrary. This latter point may just mean that, in spite of the enduring characteristic ugly over-construction, exorbitant prices at some resorts (Golden Sands, I’m looking at you), occasional – but not ubiquitous – sluggish service, Bulgarian tourism may indeed be capable of learning some lessons along the way.